I hate spiders, as do most, but I was slightly excited about this request and was ecstatic about how it turned out! 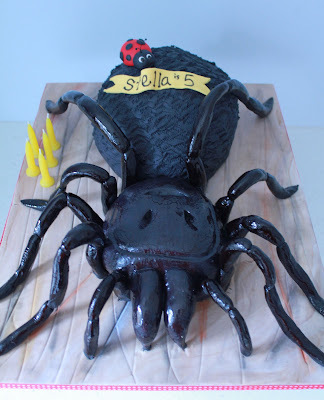 Stella turned 5 and for her birthday she wanted to go to Wildlife World to see the Sydney Funnel Web Spiders! That would be a usual 5 year old birthday request???! 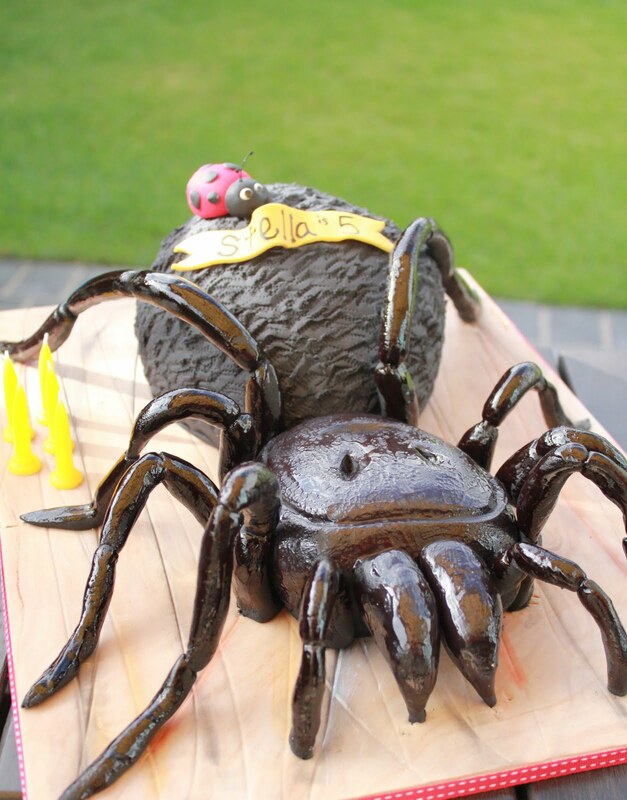 This cake is based on the anatomy of a Female Sydney Funnel Web Spider. 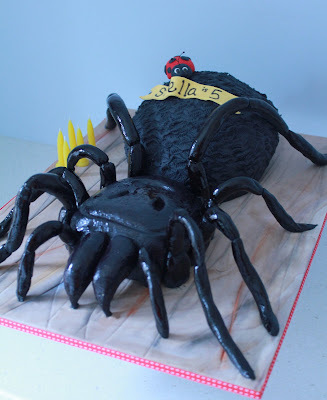 Anatomically the spider is pretty correct even down to the little spinnerets at the back (used to spin their silk webs)! I decided at the last minute to add a little lady bettle to her back for a little colour as well as to ease up on the creepiness! I liked that little part! The cake is a chocolate mud cake with chocolate ganache. Everything is completely edible. 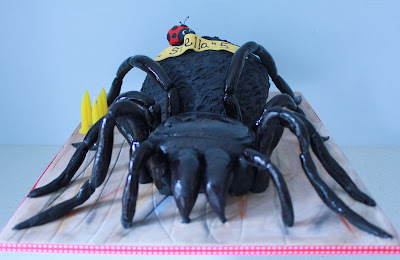 The legs are moulded fondant with support wires inside! They can be eaten like lollipops! Imagine that coming for you! Hi, I'm Katherine from Katoomba - as someone who has had real life experiences with said spider I have to say this is an amazing and beautiful work of art. Simply amazing!